A memoir by former Japanese Emperor Hirohito about how his country entered World War Two has fetched $220,000 (£164,000) at an auction in New York. Also known as the Imperial Monologue, it chronicles the slide into war until Japan's surrender in August 1945. The notes handwritten by an aide to the Emperor are thought to have been made at the request of the US after WW2. The memoir was first published in 1990 after the emperor's death the previous year. The original manuscript was sold by British auction house Bonhams in New York. It had been expected to fetch $100-150,000. The memoir auctioned is a handwritten copy by one of those aides, diplomat Terasaki Hidenari, who also worked as interpreter for the emperor dealing with the US forces. 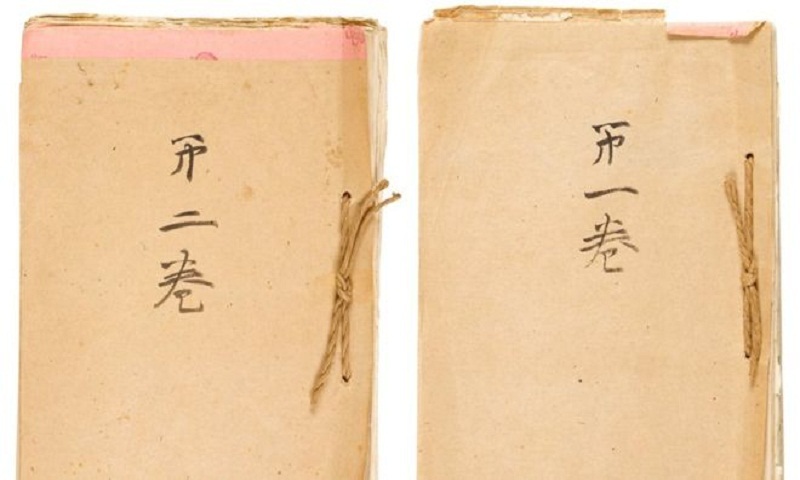 According to Bonham, the two notebooks are the only full record of the Emperor's spoken memoirs, "and constitute a key resource" for understanding Japanese history. In the recollection, Emperor Hirohito describes himself as having been in a situation where he had no choice but to agree with cabinet decisions. According to the memoir he feared that opposition to Japan's entry to the war would have plunged the country into a devastating internal conflict. The degree to which Emperor Hirohito was involved in decision making during the war remains controversial among historians.